Ubisoft, the developer and publisher of countless game titles, are back with the sixth installment in their hit series based off the Tom Clancy's novels, Splinter Cell. 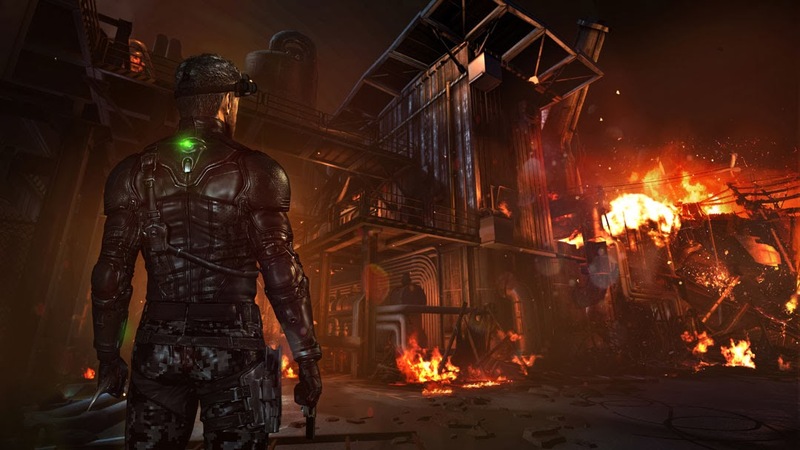 Long term fans of the series have had an agonizing three and a half year wait for Splinter Cell: Blacklist, and with such a drawn out wait period gamers have been, in all right, expecting Ubisoft to fulfill some large promises to expand the horizons of the series. 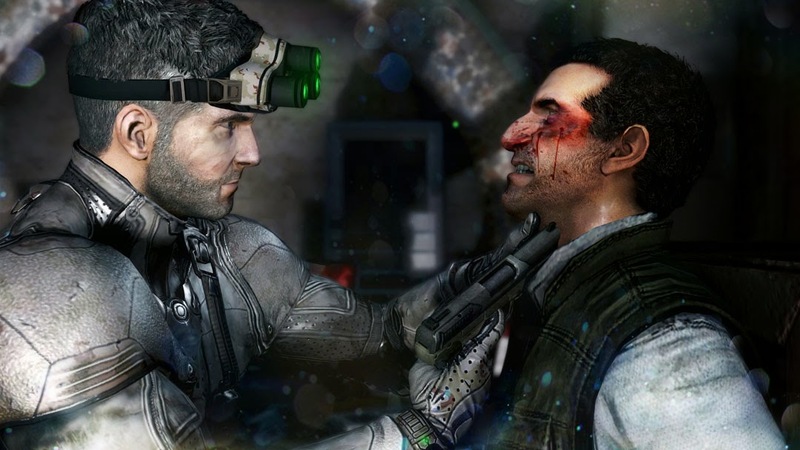 Does the game play in this new chapter of Sam Fisher's adventures deliver in it's play style, or will it fail to appease both long term and new fans of the franchise? 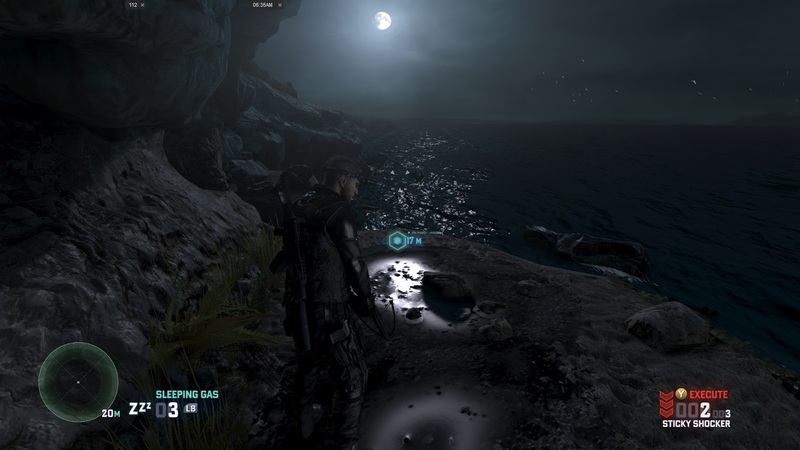 Splinter Cell: Blacklist is an absolutely beautiful game in every way imaginable. The graphics surpass the standard of both the Xbox 360 and Playstation 3, and obviously usher in the next-gen benchmark early. 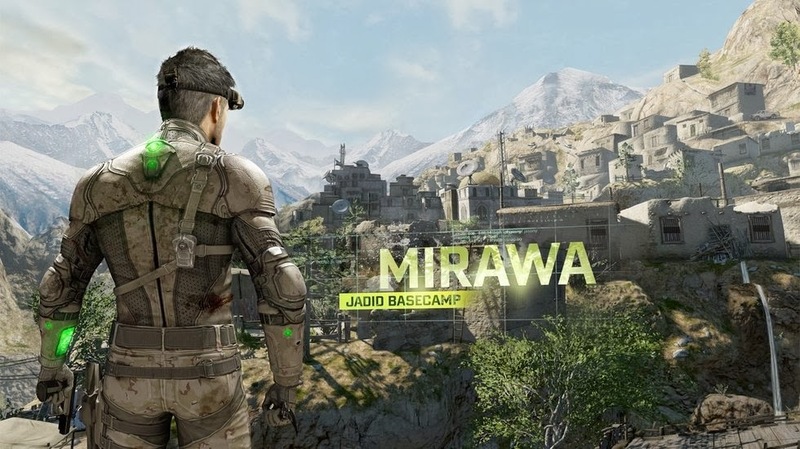 The land and cityscapes are completely breathtaking as they span across the globe; the player will find themselves infiltrating areas from Guantanamo Bay to Iraq to Denver, each with an unique appeal. There are many weather elements that traverse the thirteen solo campaign missions that enhance the real world feel of the game; snow flurries, rain, fire and sunshine will test the player as they progress throughout the main story line. These elemental effects will test the gamer in various ways as enemies tend to blend in to the terrain rather easily at times, making Sam's gear a vital essential to advance. The story takes place six months after Splinter Cell: Conviction ends, Third Echelon has been disbanded and we arrive in time to see Sam Fisher and his pal Victor Coste preparing to an aerial reconnaissance mission on a helicopter. Unfortunately before they get too far, their aircraft is gunned down and this is where the adventure begins. 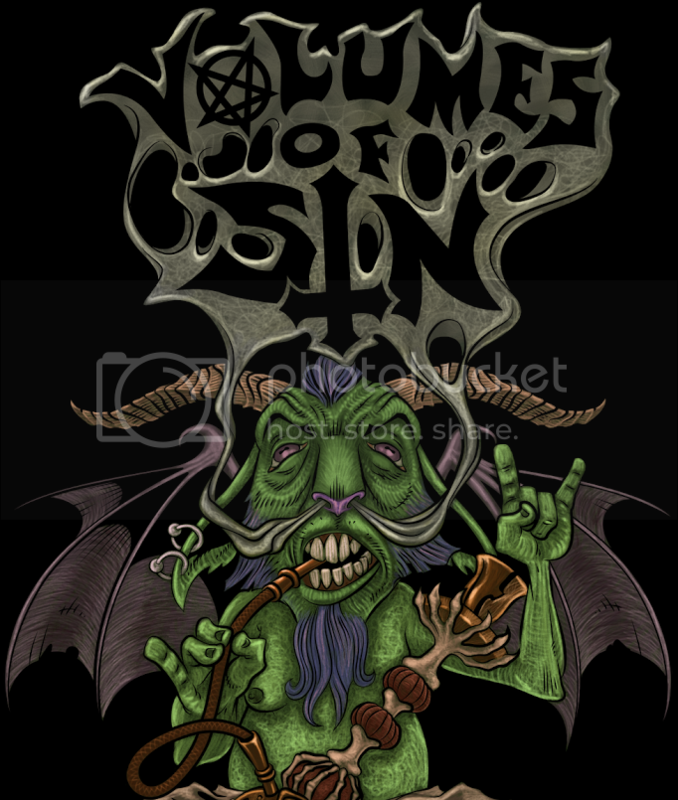 Sam and Vic took the plunge during the midst of an orchestrated attack by a group who call themselves The Engineers, and their entire plot is to unleash a list devastating attacks on the United States every seven days until their "simple" demand is met; the President must recall all of the American Troops out of the various countries they are inhabiting. These attacks, of course, are called The Blacklist. President Patricia Caldwell then forms Fourth Echelon, a special operations and counter-terrorism team headed by Sam Fisher and his long-term ally, Technical Operation's Officer Anna Grímsdóttir. Added to the team are two new characters to the Splinter Cell series, Technical Officer Charlie Cole and former CIA agent Isaac Briggs. Together the team set out to stop each of the Blacklist attacks before they happen; American Consumption, American Fuel, American Freedom, and American Dust. There's an outstanding mixture of action and stealth that happens throughout the game. 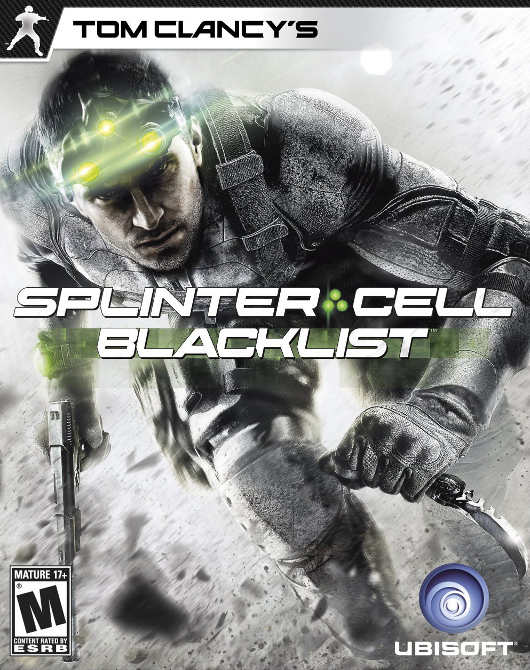 Unlike previous Splinter Cell games where the ultimate goal is to be as stealthy as humanly possible, Blacklist allows the player to choose their method of play out of three styles; Ghost, Panther and Assault, although all three of these can be combined to complete missions. Ghost style entails that the player always keeps to the shadows, never becoming detected and uses non-lethal means to take out their enemies. Panther allows the player a little more room, they can be detected and alert the hostiles however each time they take out a foe it must be through lethal means and done stealthily. Assault is full on burst in, gun 'em down, do the objective and keep going. The gamer will feel more comfortable as they progress and learn which style suits them the most; these options give far more freedom than previous games in the series. Although there are some instances in specific missions where the gamer must stay undetected or go in guns blazing, but these are very short snippets in the longevity of the story mode and only add to the overall enjoyment of the game. To add further depth to the Ghost/Panther/Assault play styles, Sam has a large arsenal of gadgets at his disposal; each of them being suited for a specific style. Sleeping gas, sticky cameras, EMP's, Noisemakers and Shock Mines will assist the Ghost curious player, Flashbangs, Smoke Grenades and Tear Gas will be essential for Panthers and of course Frag Grenades, Incendiary Grenades and Proximity Mines will help the Assault gamer cause mayhem. Sam even has the option to enlist the help of a Trirotor, which is a flying drone that can explode and kill enemies or shock them with electro-bolts. Added to the plethora of gadgets are dozens of weapons, each with their own upgrades, benefits and cons. Gamers will be able to choose whether or not they want to equip silencers for stealth or leave them loud for assault, scopes or no scopes, power or accuracy and the list could go on. At all times Sam will have a pistol, secondary weapon and special weapon; the special weapon is an entirely non-lethal option and will be the player's personal choice of a crossbow or stun gun. The special crossbow can really give an edge to the Ghost player, as it comes equipped with Shock, Noisemaker and Sleeping Gas arrows. While offence is fine and dandy, Sam still needs to have a good defense if he wants to survive. Various armor types will also depend on player customization, as some armor gives increased stealth and some provides additional protection against enemies. Each piece can be rigged with different camouflage for different missions as well, for example Urban Camo for cities, however there is little to no reason to spend in-game money purchasing these coloring varieties since it does not impact game play; a small but apparent flaw that could've additionally enhanced the game. Sam's signature goggles are another inclusive customizable gear piece, where the player can choose from a good assortment of colors for the lights as well as many augmentations; the standard Night Vision, Sonar, Thermal, Footprint Scanner and more will help the player to define exactly where the hostiles stand, making it easier to maneuver around them ...or ambush them. There are four difficulty options in Splinter Cell: Blacklist; Beginner, Normal, Realistic and Perfectionist. Though in my personal experience, I found that there was little to no difference between Normal and Realistic, both difficulties made for a pretty tough experience though in the latter I was recognized more quickly by enemies. There are a small assortment of foes in the game, ranging from various soldiers to heavily armed infantry, as well as dogs. Though the variety of enemies is never something that Splinter Cell has been well recognized for, it's not an essential for the game play as the player will be too busy focusing on climbing and hiding, the way that the hostiles interact with each other is still amusing. Patience is a must as they never seem to have a set pattern of movement and the player will find that upgrading Paladin 9 (the home base airplane) to it's fullest potential will prove necessary in their endeavors on the ground. The AI is applaudable here, unlike in Chaos Theory when you could be right behind a guard dancing a jig without him ever noticing, and enemies will sometimes spot you almost too easily. This can be frustrating at times, but the story line of the game begs that the player come back for more after small breaks. The last seven paragraphs touched only the single player campaign, there is also online Classic and New Mercs VS. Spies (MVS). The Classic MVS is one of the best loved features of previous Splinter Cell games and it has been brought back in full force and better than ever. The New MVS has a few options for different game types and the player can customize their Merc and Spy by purchasing new equipment with their in-game funds. In addition to the hours upon hours of online play, the game also contains assorted secondary missions assigned by Grim, Briggs, Cole and another mystery "friend" that Sam uncovers later who will not be revealed due to the sake of spoilers. All missions, except for Briggs' who are co-op only, can be played online with a partner or solo and add to the endurance of the game. On an Xbox 360 controller the game controls are generally fluid. However, having to click down the right stick to reload seems a little unnecessary; however in thinking about this, there is little elsewhere to put the reload control as all of the other buttons are assigned to things such as running, jumping, crouching, sticking to cover, changing guns, aiming, firing, lobbing grenades and secondary items. In online MVS the controls can be a little tedious and irritating until they are mastered since it's all but natural instinct in games to move the left stick away and press A to jump off a ledge; here you must push B to drop the ledge instead. Lastly, the audio completely wraps up this experience into an adrenaline fueled adventure. 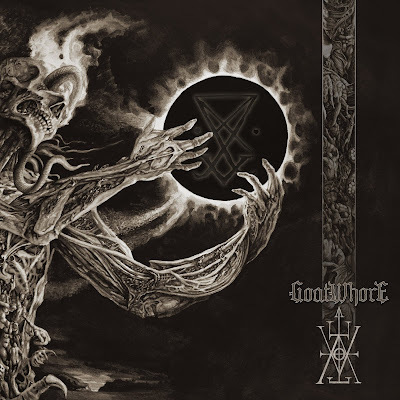 The soundtrack will stay mellow so long as the player is not revealed to the enemy, but as soon as they are suspicious or alert the music goes into full-on industrial ataxia. The music also enhances the more heart pumping moments of the game, causing the player to feel as though they must act quickly or perish. Everything from the gunfire to grunts, steps, whispers and voice acting is detailed beyond comprehension and creates a truly dynamic experience for any gamer. Splinter Cell: Blacklist is by far one of the most, if not the most, advanced games of 2013. The time of its release teetered on the brink of the next-gen console wars and easily pushed the boundaries of consoles and computers alike. Hell, it causes my system to almost overheat on Ultra settings but damn does it look gorgeous. The action packed game play, interesting terrain settings, in-depth story and realistic detail will keep drawing gamers back over and again until the game is completed. Even then, they will be longing to finish the secondary objectives and play some good ol' Mercs VS. Spies. Even if you're not a stealth fan or did not enjoy previous Splinter Cell games, this one is definitely worth at least a rental due to its diversity in play styles. This is one game that has earned it's worth for every penny of the $59.99 price tag.